The software has seen so many improvements over the years, but we still need need to upload 8 kHz Mono, 16 bit wav files for prompts. HD audio now is a standard in the SIP world, and I would love our clients to hear prompts that do not sound sound like they come from underground. Improving sound quality would be a great feature and a much better experience for any calling party. It is actually hard to say how this really turns out. 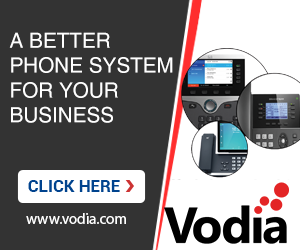 Some people might even be confused if the phone system suddenly sounds so natural (really). Most of the calls that run through the PBX end up in the "PSTN", in other words 8 kHz; especially those calls that are considered valuable. Many years ago when we so proud to present G722 we had to find out that most people don't want it. The new G711 might become OPUS; but it will take some time until it is really mainstream. Next steps must be to start supporting OPUS and make sure that every recording that we have is with 48 kHz. The codec will make sure that the recorded voice will be presented in the best possible quality. Would also like the Opus codec as well as updating the file formats. Yes Opus made it pretty much to the top of the list now. It is a awesome codec we were wishing for for years, and more and more products can use it - maybe one day even SIP trunks can use it!